« Great Debate Part III & IV – Glikson accidentally vindicates the skeptics! Imagine, at this rate, in just one hundred years, sea levels could be… five millimeters higher. Would New Scientist take part in reporting naked speculation based a wild extreme? And what are the chances that all the worlds sea ice will melt? All 16 – 22 million square kilometers. And if millions of square kilometers of sea ice did melt, you’d suppose we had more to worry about than the 5 cm extra on top of the usual high tide. To see me take down New Scientist for it’s scandalous bias and unscientific behaviour, click here or here. 69 comments to Be afraid — melting sea ice causes infinitesimal sea level rise! See you! I’m heading for the hills – just as fast as this snail will carry me. So there’s dilution of sea water? Better dam all those fresh water rivers that flow into the oceans. I don’t suppose evaporation over the surface of the ocean could possibly reduce the impact of such dilution? Global warming is making some parts of the oceans saltier, a new study has claimed. So amongst the AGW scaremongers they can’t even keep to one line of logic! “The team analysed more than 460,000 oceanic readings collected by an army of 3,200 autonomous ARGO buoys and after subtracting out such things as cyclical seasonal salinity changes and other extreme events, they found a strong signal of more evaporation and rainfall over the oceans — an enhancement to the average surface salinity. One would have thought that the above statement would point to a balance. The subsurface currents will be carrying and mixing the water between tropical and high latitude waters – I think it’s called convection. The more I read about this global warming garbage, the more I think that humanity is loosing its marbles. One day soon we’ll all be leaping lemming-like off the tops off cliffs in an alarmist induced panic. Think of the millions of man-hours and the billybucks of money spent arguing about something that appears to be the figment of the imagination of a collective lunacy. FijiDave, Absolutely! I read it the same way. It is almost silly how everything is bad and getting worse. Imagine they could just as well said “Global climate change experts have found that climate caused rain contributes adversely to the hydrological cycles”! Could you get funding for the research to support that conclusion? Grant, It would be great to increase my retirement portfolio with such funding. My concern is that someone else in the AGW camp has already done it! Keep an eye out for Robin “The seas will rise by one hundred metres” Williams. He’ll probably be there well ahead of you and selling Floaties. Just to be safe, you know. Nigel Calder , a former editor of New Scientist will be choking on his beer with this rubbish being printed. wouldn’t it be nice to wake up one day to find no gloom-and-doom CAGW stories in the MSM? A worst-case scenario of global warming, in which temperatures would soar some 21 degrees, is that much of the world may simply become too hot for humans to live in, according to new research published last week in the Proceedings of the National Academy of Sciences. The new research calculated the highest tolerable “wet-bulb” temperature that humans can withstand. Heard on radio that Tony Abbott made an appearance at a primary school in the last few days. He told the kiddies about the Roman Warm Period, the Dark Ages followed by the MWP which was followed by the LIA and now the CWP. Climate change, he said was a natural event and not a cause for concern. Has there been an outbreak of reality down there in Canberra? I’m sorry to have to disagree with you but the AGW always manage to come up with a consistent line in at least one respect: They always tell the bad news side of the story. So even when there’s 2 sides of a story, they always tell the bad one – as in the cases you describe. I’m sure you can think of lots of examples of this – but when was the last time you heard these guys say something like “Higher CO2 levels will increase rice production in China”? Nothing springs to mind. But I do know that good news doesn’t pull in research grants. Mind you, Pommie media is (still) frantically waving the Catlin flag. This, from their Channel 4. Channel 4 News celebrated election night with a long report on the latest Catlin Arctic Survey. It attempted to make our flesh creep by filming a group of scientists camped on the ice to measure the degree to which global warming and rising CO2 levels are threatening to acidify the oceans as the Arctic ice vanishes. What Channel 4 failed to tell us was that this study is sponsored by an insurance company which hopes to make millions selling insurance against risks affected by global warming; that, with a pH between 7.9 and 8.2, the oceans are firmly alkaline and will remain so for millions of years; and that last month there was so much of that disappearing Arctic ice that its extent had returned to its 30-year average spring level. This recalls the fiasco of last year’s Catlin expedition, when Pen Hadow and two colleagues set out to walk to the North Pole to gauge with an old tape measure how fast the ice was vanishing. After two months of frozen misery, much publicised by the BBC, they had to be rescued because the Arctic weather was too extreme and cold, having acquired scientific data of little, if any, value. But at least these pointless publicity stunts keep the warmists in the media happy. When Al Gore is afraid to buy seashore property then I’ll be afraid. Let’s let the expert be our guide. Pat# 9 Speaking of gloom and doom….It must be time to speed up the melting of the floating ice sheets, think of all the short cuts shipping can take and explorers for fossil fuels may benefit. Oh, and no frost bite for polar travelers (explorers). I am sure the fish will benefit with less ice too. Research money please! So, who changed the laws of physics?? 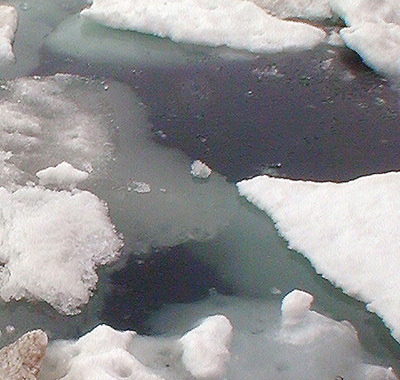 if the ice is bobbing on the oceans melts the level will not change at all, the ice floats because it is water that has expanded due to it being below 4C then again expands as it becomes frozen, it then floats a little above the liquid. If it melts it just becomes liquid at the same level. That was taught in primary school. So the AGW crowd is consistent, re write the laws of nature, make a lunatic claim and steal tax payers money to research and cure an imaginary foe. You are absolutely right PROVIDED the water that freezes to make the sea ice is made up of sea water. If not (say it contains some fresh water as snow) then the overall ocean (the wet bit) will be diluted. The overall mass of ocean won’t be different, so, by Archimedes (BC 500) the volume will increase. I’ve put together a spreadsheet on this and will forward this to Jo. RE 18: But Speedy, Where did that fresh water start from? At 12, You make my point for me. On the subject of Co2 and rice growing they DON’T speak both sides. In the case of salinity of the ocean it appears they ARE playing both sides and both sides are bad too. Maybe that is some second order logic? Wow! World to end at ten, film at eleven! I wonder if they are offering a set of Ginzu knives if you call and donate money to save the planet . But wait, there’s more, if you call right now we’ll also include…. But wait, there’s more, if you call right now we’ll also include…. Gee and I thought Icebergs have been melting in the oceans for several million years. Oh that is right,you are another irrational alarmist who wants 15 minutes of fame. Yep. Look for the let out clauses. “they estimate” “about” and “if”. Plus the time frames assumed. What gets me is how the IPCC & Co cloak some fundamentally weak science in an aura of certainty. The use of precise numbers (e.g. 746 km3) when they probably can’t be sure that any is melting at all. (Apart from the seasonal stuff.) Ask them to bet their left one on it and see what they say! The post at WUWT found that the expected sea level rise they were talking about was the width of a human hair per year – but I’ll bet that didn’t go into the original headlines! Basically it works like this, in the past it was theorised that when the sun shines on the plants the plants would take in the CO2 keep the carbon and release the oxygen. This was thought to be a good thing as the plants reduced our CO2 levels (carbon sinks) so therefore the “we must plant more trees” became the new catch phrase and in fact tree planting or the no logging version became the basis of the cap and trade scam. However this may now be turned on its head as new research by Long Cao has shown this will not work. The problem is that during the process described above the plant will transpire water vapour, if there is more CO2 available the plant will transpire less water vapour. This to the flat Earth denialist may sound like another good thing but to the more educated alarmatologist this will result in an additional 25% of GW. The reason being is because the water vapour expelled by the plant during the transpiration process forms low clouds, thus has a cooling effect on the planet. Naturally if there is more CO2 we get less transpiration therefore less low cloud warming the Earth even more. To be honest i am still coming to terms with this departure from IPCC logic but i am a mere simple flat Earth denialist. 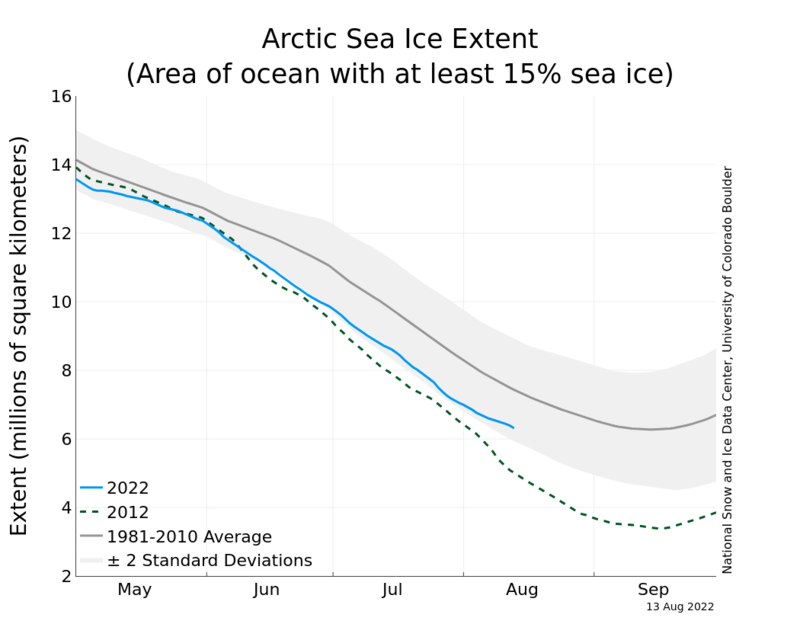 Something that’s consistently overlooked is that Arctic ice grows and shrinks seasonally and some of it always melts in the summer, but no mater how much melts, it will always grow back in the winter. The monthly average temperature of the Arctic (top 30 degrees of latitude) is about -20C in the winter months when the Sun doesn’t shine and there are only 3 months where the average is above 0C (max of about 5C in August). It would take a whole lot of warming to raise the yearly average temperature of the Arctic by enough to completely eliminate ice. The worst case sea level rise predicted by alarmists assumes significant Antarctic ice would melt. This is even harder to achieve. The yearly average temperature of the Antarctic is less than -20C where the maximum monthly average is well below -10C. This is the case because the Antarctic is not only dark half of the year, much of it is over 3000m, even if all of the ice was melted. Even much closer to the equator, regions with a comparable elevation to Antarctica have 4 season ice and snow fields. I ski one of these during the summer. Even though there’s a permanent glacier on a North facing bowl at about 10K feet (3K meters), it’s only about 60 miles from the central valley of California, where the summer temperature frequently exceeds 40C! This clearly illustrates the effects of altitude and exposure on temperature. What a lovely link in wikepedia today…. With a decrease in the number of pirates, there has been an increase in global warming over the same period. The example above is used satirically by the parody religion Pastafarianism to illustrate the logical fallacy of assuming that correlation equals causation. Since the 1950s, both the atmospheric CO2 level and crime levels have increased sharply. Hence, atmospheric CO2 causes crime. The above example arguably makes the mistake of prematurely concluding a causal relationship where the relationship between the variables, if any, is so complex it may be labeled coincidental. The two events have no simple relationship to each other beside the fact that they are occurring at the same time. Another possible example is the somewhat jocular Mierscheid Law. I thought it fun….and right in line with JN sense of humour!!! Hey, but what about the good side. Shouldn’t the fresh water help dilute further “acidification” of the oceans which aren’t acidic in the first place? Unless that deadly pollutant CO2 has caused acid rain and contaminated the floating ice! Oops. There goes the Great Barrier Reef for sure and who knows what it will do to the mating habits of Karoly’s randy butterflies! That’s unreal! And on Wiki too? I would recommend that every person who claims to be a sceptic read this paper. In a nutshell, the summary is that AGW is based on opinion expressed in the form of complex mathematics, and that a naive approach of “no change” would actually be a more accurate forecast – Yeesss! Is it only me, or do other people have a concern about the amount of ice in the Arctic (and presumably the Antarctic) being quoted in square kilometres (or square miles)? I would have thought that the volume of the ice would be more important than the surface area covered. The volume would be dependent on historic precipitation in localised areas, so will be independent of what is happening today, I would have thought. I live on Manly Beach but thank God am on a 6th floor apartment . Ice melt is an AlGorithm. It is one of the set of instructions for completing the procedure known as Falsifying science for a financial benefit. AGW “Science” rediscovers the Argos floats! One would have thought, however, that the most significant result from the Argos system would be the fact that the oceans are rapidly cooling, having lost, in the last 5 years, 1/2 of the heat supposedly gained in the previous 50. This result, however, must be due to faulty thermometers. First radiosondes, now Argos: Darn engineers still can’t figure out how to build politically correct thermometers. I was at the local primary school today. Some books had arrived entitled “Behind the News – Primary Atlas”. This was a Rigby Book from ABC Books for Primary School Children. Page 116 goes “Causes of Global Warming. The Atmosphere of the Earth is like a greenhouse: warm because not all can escape. This warmth, known as the greenhouse effect, supports life on Earth. Over millions of years, the Earth’s temperature has warmed and cooled many times. Many scientists believe human activities, such as burning fossil fuels (coal, oil and gas) and motor vehicles are causing the Earth to become warmer. These activities are seen in the diagram below, enhance the greenhouse effect. They release greenhouse gases such as carbon dioxide, methane and nitrous oxide, and the atmosphere, into the atmosphere, thus trapping more heat and maiking our planet warmer. Many experts believe that as the Earth warms, many changes could take place. 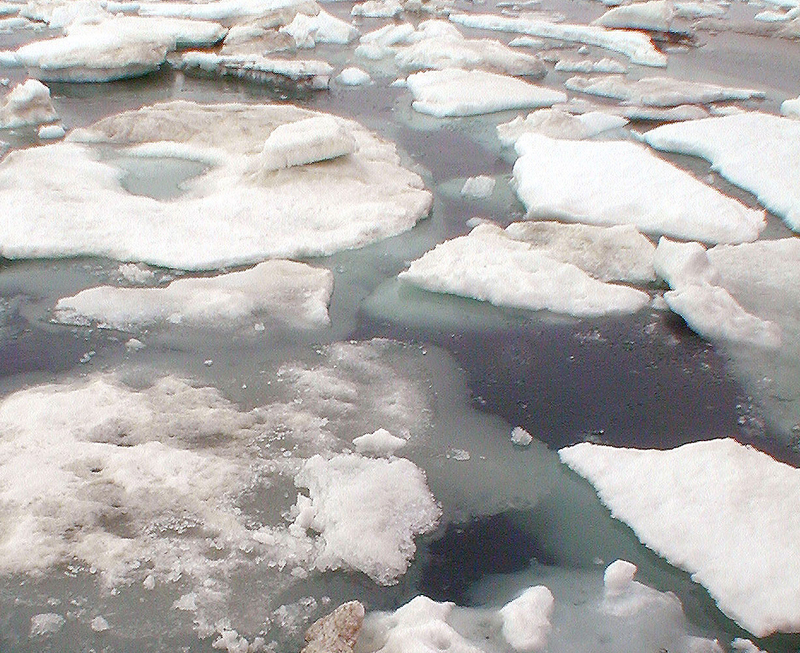 Sea levels could rise as a result of the melting of ice and snow. Entire plant and animal species could be wiped out if average temperatures rise between 2 degrees and three degrees C. Cool areas of the Earth could become warmer. Other areas could become drier or wetter. Droughts and violent storms could become more frequent in some areas of the Earth. Higher tides already flood low lying land on Tuvalu. The producer is Pearson Education Australia. These books are distributed by Wooldridges Books. How’s that for direct propaganda towards kids? I guess the AGW crowd are still happy they have Bill Gates pouring money to their cause, well *one* of their causes. $7 billion US to “curb climate change” in a fleet of 1900 ships. Following on from his earlier TED talk about funding innovation, he’s definitely not looking at the facts that he’s backing the wrong horse. I guess the earlier comment about their funding and apparent limitless supplies of cash isn’t far wrong. Someone needs to throw a custard pie again at Gates? Australian Government to waste $30,000,000 over two years educating brain washing the population on climate change. THE government will embark on a $30 million “education’’ campaign on climate change, following the shifting public opinion on its failed emissions trading scheme. The national campaign will run on radio, print, TV and a dedicated website to “educate the community on climate change, including on climate change science,’’ budget papers said. Would I be spoiling things for the warmists if I pointed out that ALL the sea ice originally came from the sea? well it’s a lot less scary than 20 feet. Maybe we should build tiny little movie set buildings so Al gore’s wish can come true. Maybe to combat sea level rise we should all drink more water. Or is this a stupid idea? Heard on radio that Tony Abbott made an appearance at a primary school in the last few days. I’m doing something wrong. Hoe unusual. This wil help Brent, but please don’t pee in the ocean when you are swimming or you will undo all that good work. This is a clear case of it being easier to get scholarly funding if “climate change” is in the title of your thesis. Dr Willie Soon speaks out again. Morning All – O/T and apologies! for details. For the Perthites, it is June 29th – see you there! He seems to suggest we’d be better off getting in the plane that will crash 9 out of every 10 flights instead. So is their beef genuinely that sea ice is stopping water that would normally go into the sea, go into the sea, on the grounds that if all the sea ice melted, all the water that would normally go into the sea – if it wasn’t for the sea ice – would go into the sea? Or is their beef alternatively that water that would normally go into the sea, would go into the sea when the melted sea ice stopped stopping water that normally goes into the sea, go into the sea? And only a destopping of the sea ice’s stopped stopping would stop the normal non-stopping of water that would normally go into the sea if the sea ice was not normally not stopping that water that would normally go into the sea, were it not being stopped? Mick, I think you have it right. If I wasn’t confused before I am now, Thanks! This ones just for fun, 1 minute comedy sketch. It’s actually pro global warming but I like the bloke with the cold flat. If there was a 90% probability the world economy would tank in an effort to shave a few hundredths or tenths of a degree from the “global” temperature would you still proceed with cap and trade? I noticed no typos. Are your kids letting you get enough sleep or did you get a spell checker? speakijn of typos, 59 s/b 49. Hmmm, maybe I should get more sleep? Narrogin? That’s an interesting locale for a presentation. I would have thought Kalgoorlie-Boulder might have been a better spot, or Bunbury, Albany, Geraldton. Not knocking Narrogin, but it ain’t a huge population. maurice newman – where are you? ABC is becoming more ridiculous every day. can’t listen to tony delroy tonite cos carbon footprints will be on the menu. have now stopped watching ‘can we help’ for the same reason. i don’t watch – or only rarely watch – commercial TV, so what to do? He says Australian species rank at the top of the list as the most endangered. Thanks Mark – in that case their beef must only be with the ‘cycle’ part of water cycle, then. I was beginning to worry they had some ideological objection to the ‘water’ part. Have to admit it still sounds like codswallop though. maurice newman – where are you? I agree pat @ 59 – I just posted on “unleashed” in reply to an article linking the plight of the Hunter Valley coal mining with climate change! I bet it’s not published. Get a good internet plan and DL your TV & movies. No ads & no tossers trying to brainwash you with BS global warming HOAX! that is precisely what i do now; however taxpayers fund auntie and they deserve better. Since “Talk Like a Pirate Day” became popular, the global trend has turned around so Pastafarians are the most successful climate controllers to date. I wonder if Al Gore will sell the mcmansion in Californi because of this dire news? Have a look at this anticorrelation. With a normal pay TV sised dish aimed at Optus D2 and a cheap FTA satellite decoder, you can watch stuff like this below from RT which is a free to air broadcast available anywhere in Australia from that satellite and anywhere in the world from many others. I watch it and many other similar channels frequently. It’s all free and legal. Compare this TSI plot also with the Arctic sea ice extent. for the first part of May the TSI is high as the ice melts.